They signed to CBS in 1973 and released Es Una Nube, No Hay Duda for CBS. One of their better albums it's highlights included the classic title track, the bluesy Prométeme Que Nunca Me Dinás Adiós, the rhythmic La Vendadera Historia De Sam El Montañes and the deliberate El Paisan Y La Codrniz. Es Asi Y No Hay Nada Que Hablar is an appealing slow bluesy number. Loco, Hacela Cállar features some nice guitar moments and some good ringing guitar is also evident on the final cut El Mañana Es Otra Historia. They completed their contract with Disc Jockey with a live album. Recorded during an Argentinian tour La Nave Infernal included old and unreleased songs. Unfortunately, their enthusiastic performance is marred by rather poor sound quality. 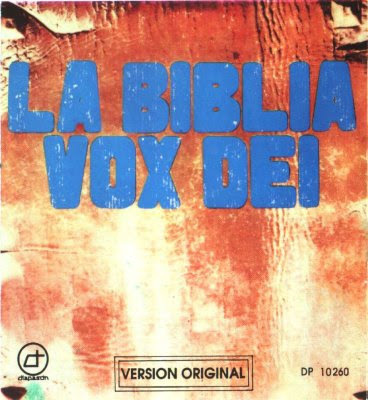 After a second, less distinguished album for CBS in 1974, Vox Dei Para Vox Dei, Ricardo Soulé left the band. He headed for Britain, where he met The Heavy Metal Kids, who recorded some of his songs on their debut album. The remaining members recorded Extamos En La Pecera with Carlos Michelini coming in on guitar and vocals, but it was disappointing compared to what had preceded it. Quiroga and Basoalto released a couple of further albums with different line-ups and Soulé briefly rejoined the band in 1978 for a new album Gata De Noche (Polydor 2387160). They split soon after but have had a number of reunions since. Soulé recorded a couple of solo albums in the eighties and Willie Quiroga formed Destroyer, a heavy metal combo who put out an album in 1982.